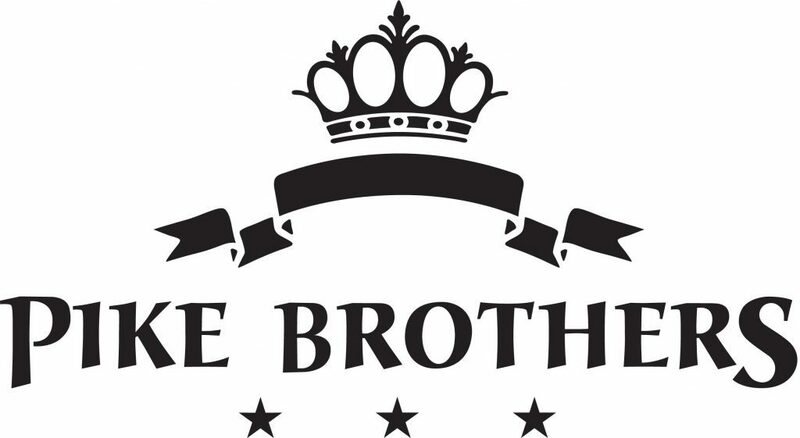 Pike Brothers developed a new series called Hauler Steel Blue. 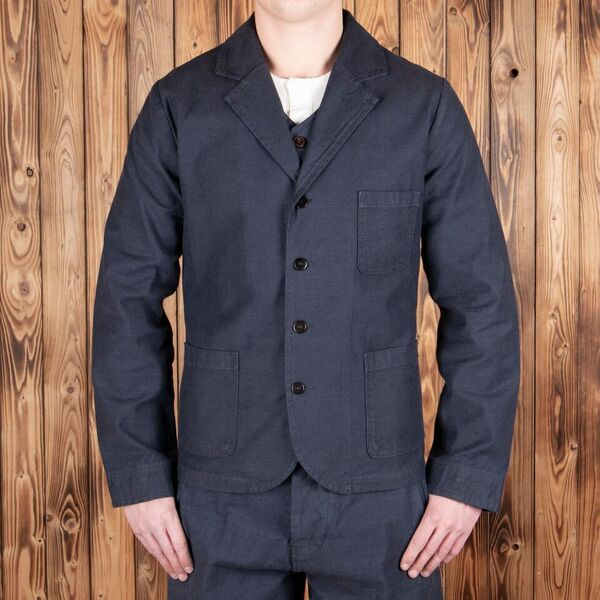 The new styles in this series are based on the late 1800s and early 1900s workwear. 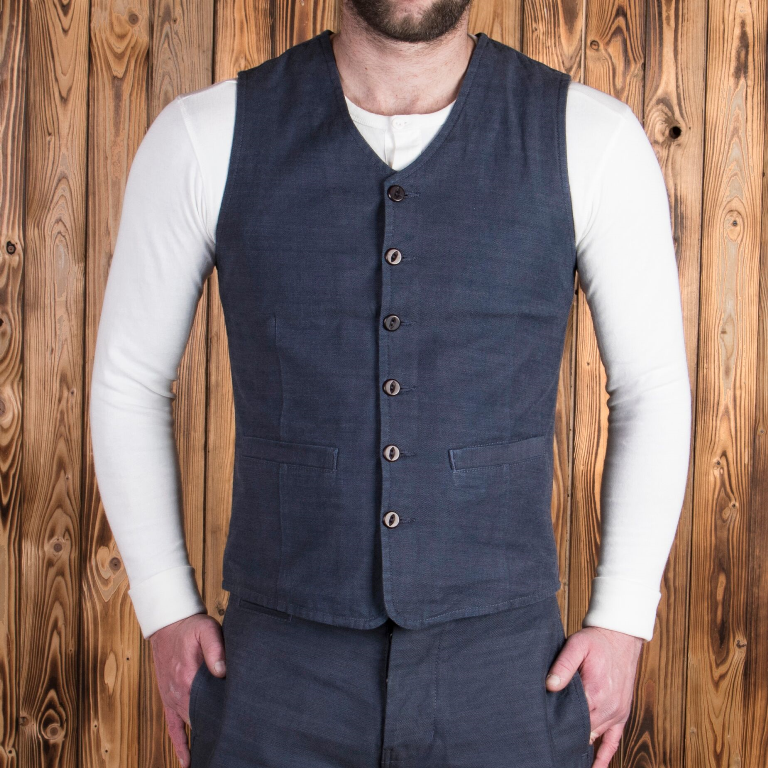 The series contains several styles as a vest, jacket, and pants. 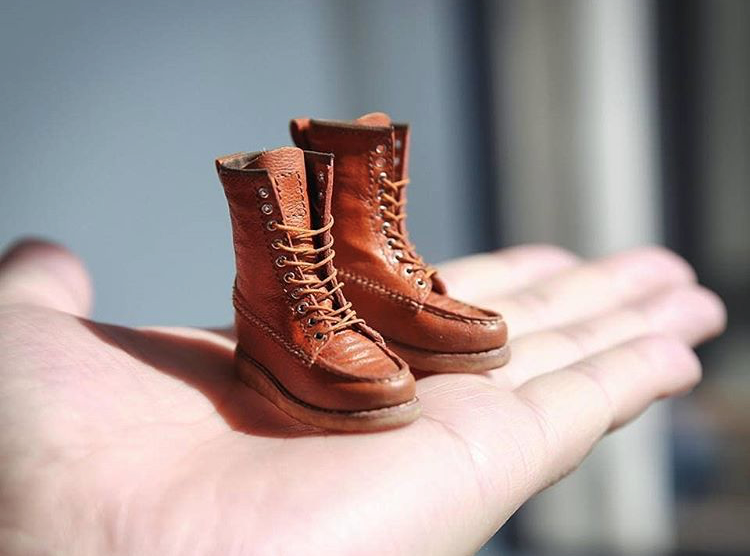 It’s made from 12oz fabric from the Italian Candiani mill. The fabric has an indigo blue warp and weft and has a slightly irregular yarn. 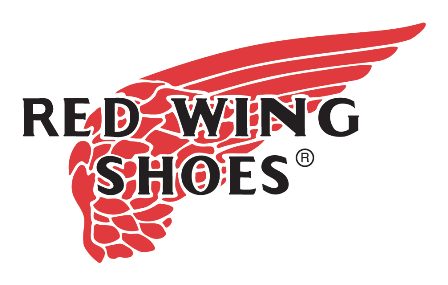 The idea to develop these styles came from an old picture from an old brewery. On the picture is a warehouse guy standing at a barrel. The base of this Hauler Steel Blue series. 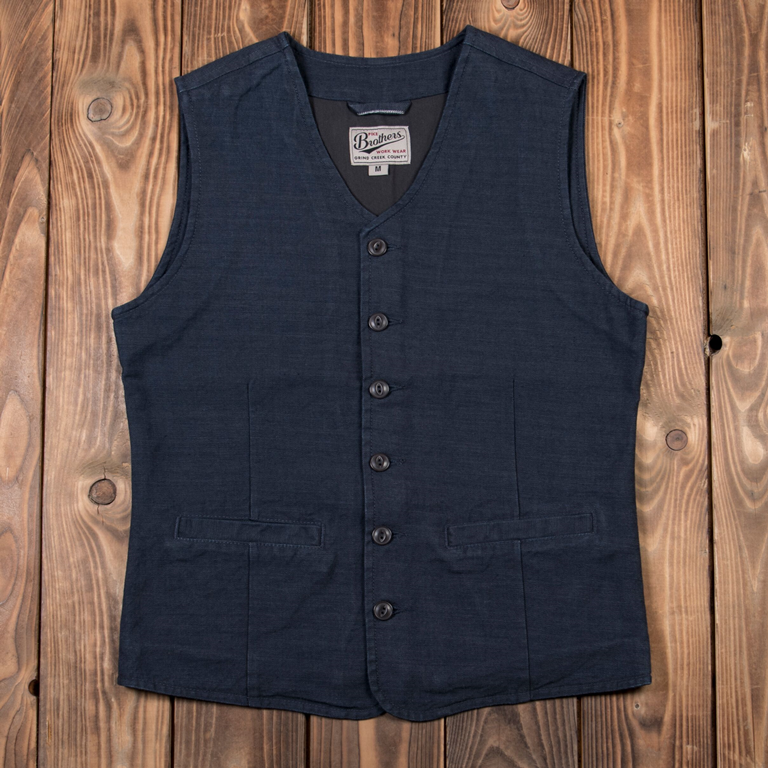 The Hauler Steel Blue Series includes a vest which originally was made to protect the work shirts from dirt and abrasion. 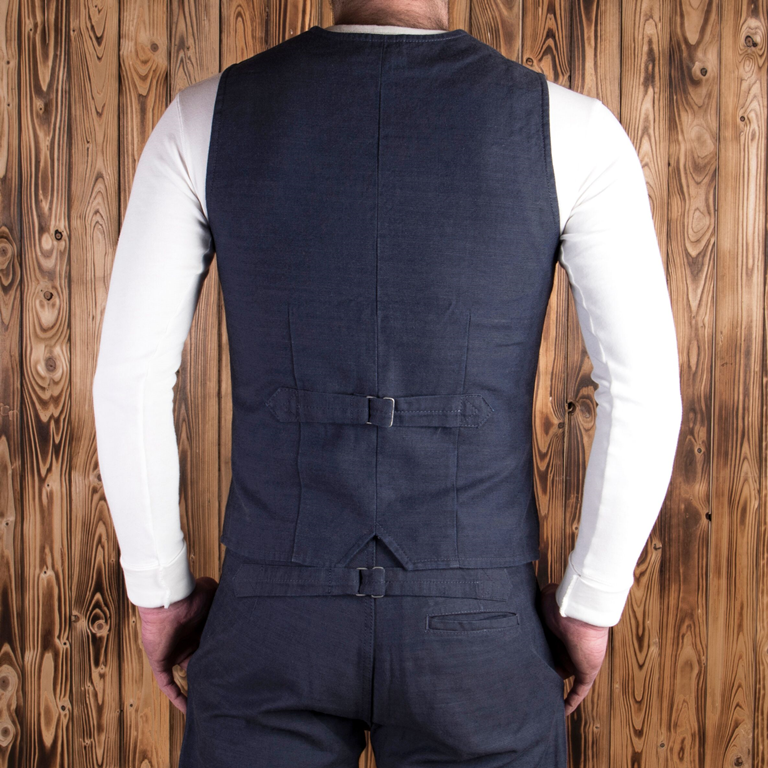 The workwear vest has a fitted outline in order not to be caught on sharp corners whilst working in warehouses or on machines. 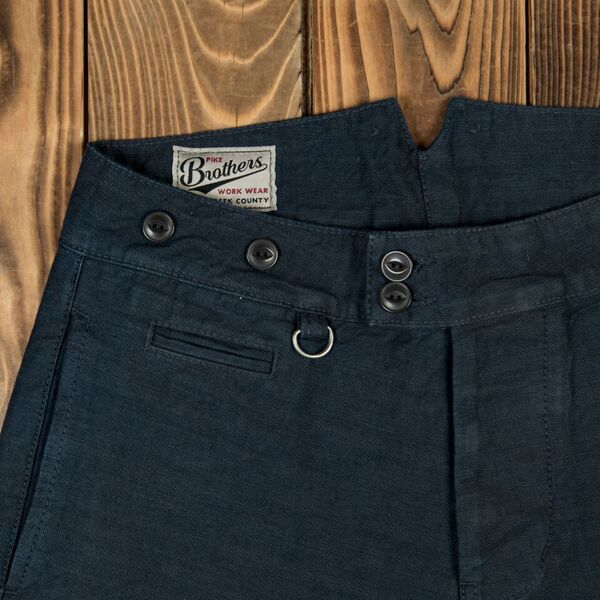 It has two front pockets and a cinch back. 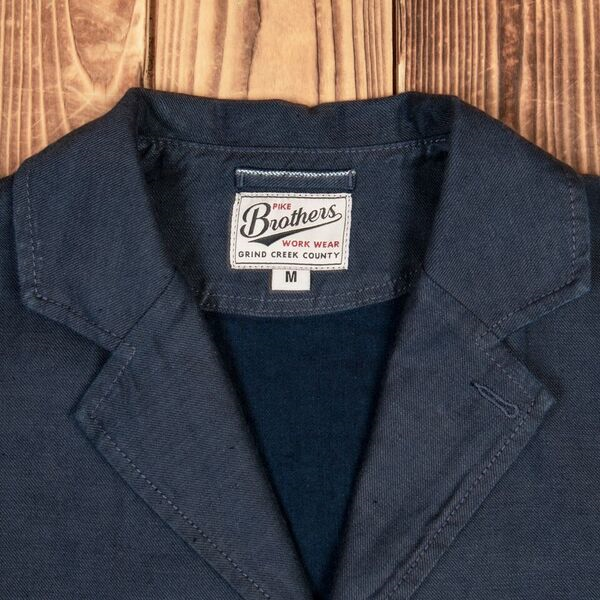 The Hauler Blue Steel jacket is inspired by the fact that workers in the 19th century had to drag and haul a lot. 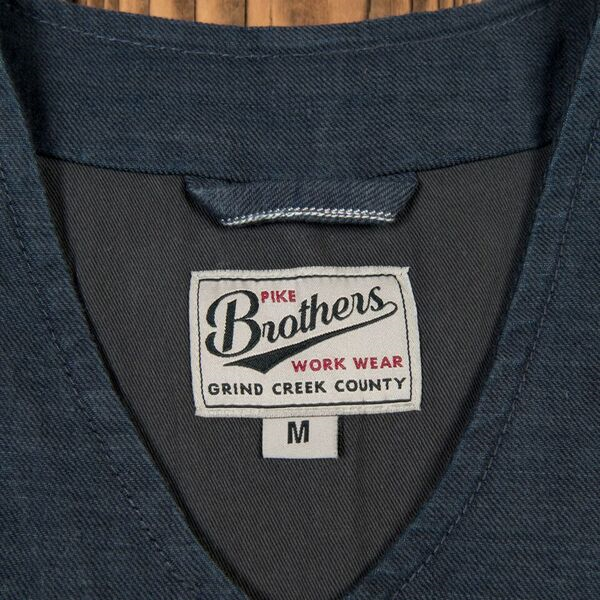 Therefore workwear clothes had to have certain features on the fit as well as on the material. The clothes had to give the opportunity for full movement and the fabric had to be hard wearing. The jacket has a slim fit and is unlined. 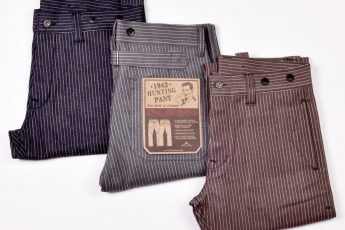 One of the pants from the series is based on the brand’s popular 1942 Hunting Pant. The pants has a normal waist and regular fit. 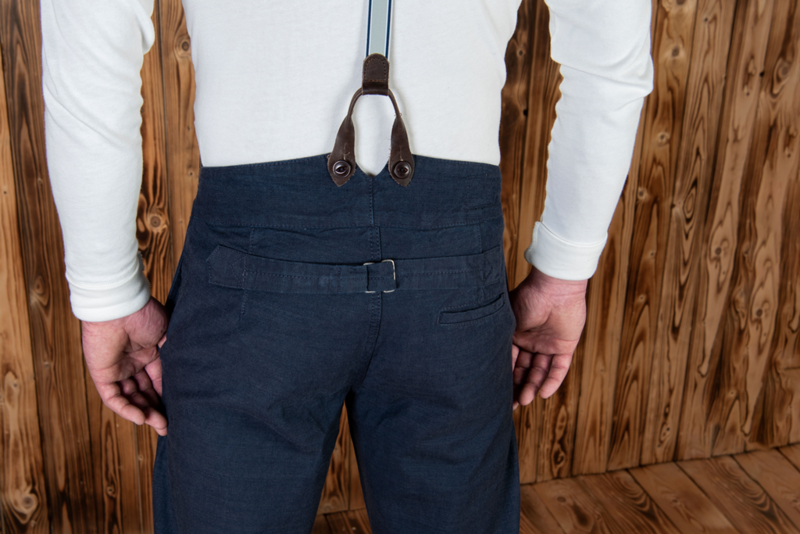 There’re suspender buttons added on the pants and a d-ring to carry your pocket watch. 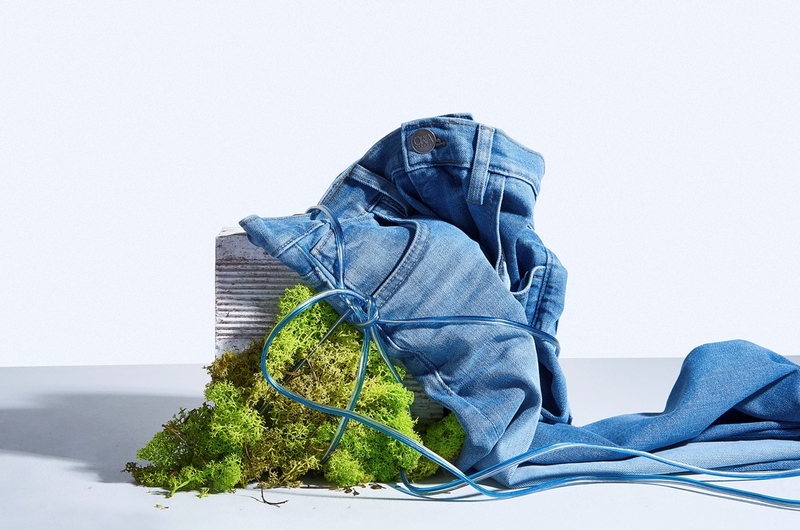 The pants is once made for life outdoors and has become an article of daily use and on all terrains. To haul, to pull, to carry, to drag. 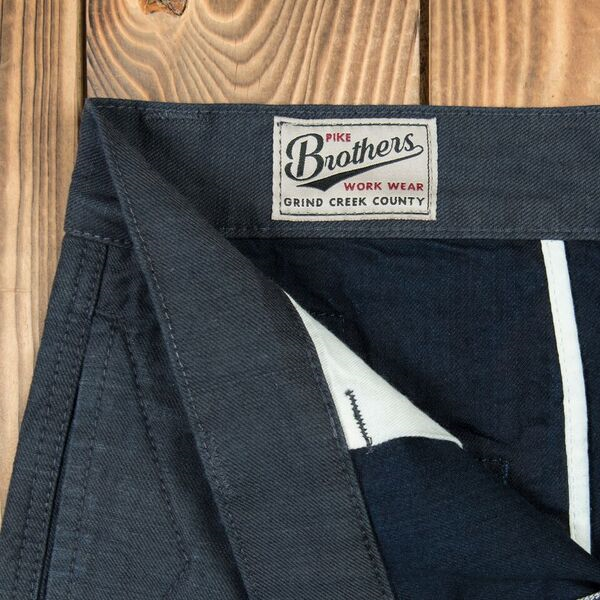 These are all words that very much indicate the origin of the 1905 Hauler Pant. Workers in the 19th century had to drag and haul a lot. 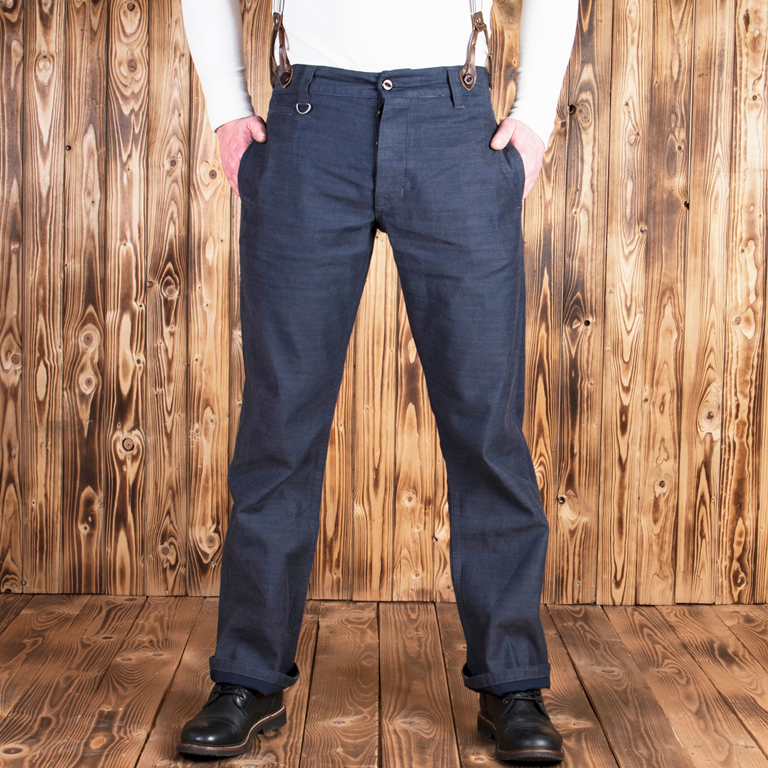 Therefore workwear pants had to have certain features on the fit as well as on the material. 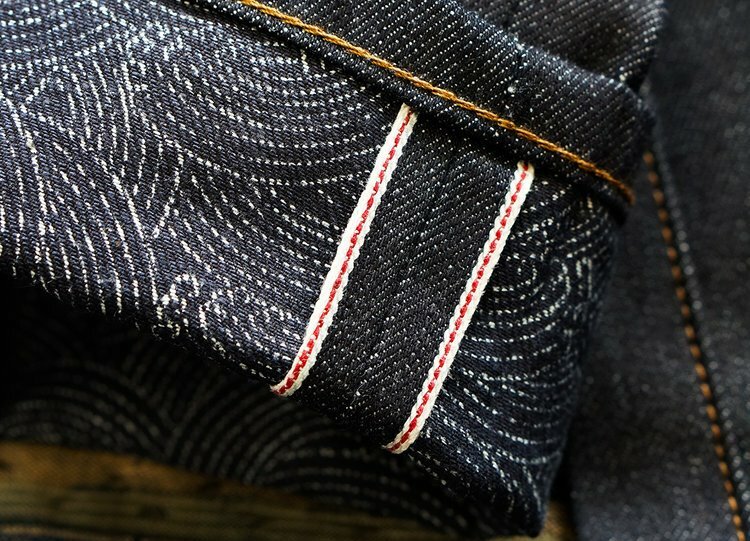 The pants had to give the opportunity for full movement and the fabric had to be hard wearing. The pants has a loose fit with a high rise. It has a dovetail back and cinch back. 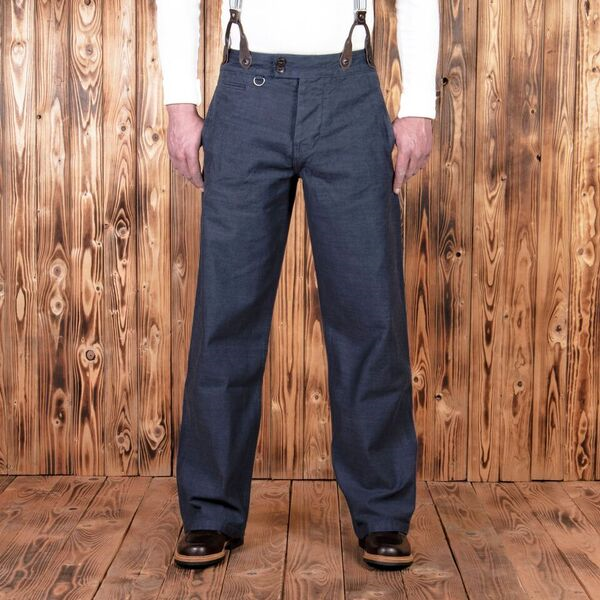 The trousers are pre washed and do not shrink. 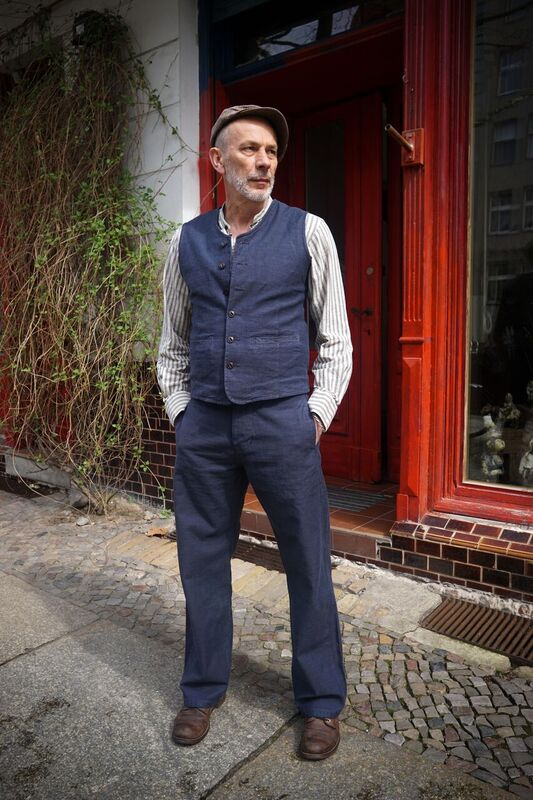 Retailer Fein und Ripp from Berlin wearing the new Blue Steel items.